Striking pink and gold crystal stud earrings oozing 1950s retro style for a feminine, glamorous sparkle. 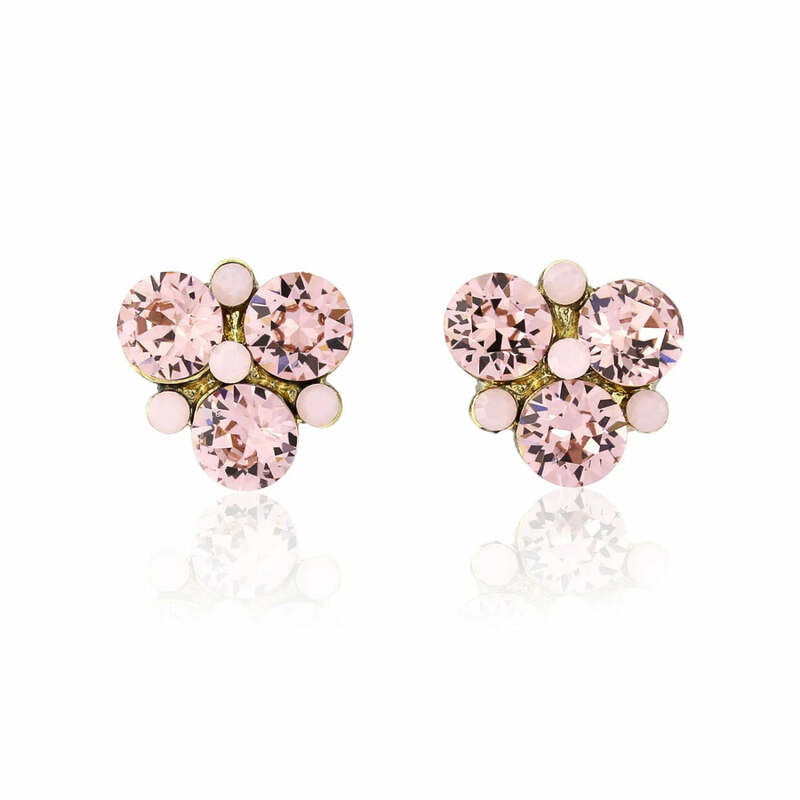 The beauty and romance of pastel hues has been magically captured in our chic and elegant Pink Paradise Earrings. The vintage charm of old gold has been given a pop of feminine colour with pale rose pink clear crystals combined with the elegance of milky pastel pink stones. Perfect for every occasion, these oh-so-pretty delights look fabulous when worn alone for a lunch or dinner date or teamed with our beautiful Pink Paradise collection for a touch of timeless glamour for a black tie ball or prom. Dress your bridesmaids with 1950s full skirts and hand-tied posies of pale pink roses for wedding day retro charm your guests will swoon over. For your own bridal style team Pink Paradise with an antique gown and a cascading bouquet of pink blooms for the most glamorous of styles.